Screenwriting for Physicians, December 5-6, 2019, Naples, FL - SEAK, Inc.
For all physicians who enjoy movies and have an interest in screenplay writing. This will be the most fun you have ever had in a course with your colleagues. You will learn in an extremely interactive way (including demos with movie clips) how to write a screenplay that sells. Taught by a highly qualified faculty, Professor Rich Krevolin, a Yale Graduate who has 15 years’ experience teaching at USC Cinema/TV school. Rich has taught, mentored and coached hundreds of aspiring physician screenwriters. Have you ever seen a film or watched a TV show and thought, “I could write something better than this?” Do you have a great idea for a screenplay, but don’t know where to begin? Do you have the first twenty pages of a screenplay you haven’t finished? Or do you have a novel that would make a great movie? If you’re a physician who has ever experienced any of these scenarios or just want to learn how to write a screenplay, this unique workshop is a must for you. You will learn from Master teacher and Screenwriting Professor Richard Krevolin. Professor Krevolin has vast experience teaching and coaching physicians. This lively and interactive program is likely to be the most enjoyable educational experience you will have as a physician. You will have the opportunity to get all your questions answered. There will be numerous video examples and ample time to network. NOTE: This program is appropriate for aspiring physician screenwriters of all levels of experience. You are NOT expected to have written a screenplay before attending this class. CONTINUING MEDICAL EDUCATION CREDIT: Due to the nature of the subject matter, CMEs are not available for this program. • Everything you need to know to write your first script. • The techniques and disciplines of classical Hollywood screenwriting and storytelling. • How to adapt a novel or short story into a screenplay. • Screenplay format and three act structure. • The essence of good dialogue. • The log-line and the step outline. • Creating sympathetic, three-dimensional characters. • The business of screenwriting—producers, agents and managers. Richard Krevolin is an author, playwright, screenwriter, and professor. A graduate of Yale University, Rich went on to earn a master’s degree in screenwriting at UCLA’s School of Cinema-Television, and a master’s degree in playwriting from USC. For 15 years, he was a Professor of Screenwriting at USC Cinema/TV School. He is the author of the books, Screenwriting From The Soul (St. Martins Press), Screenwriting in the Land of Oz, and How To Adapt Anything Into A Screenplay (Wiley & Sons). Rich directed the PBS documentary, Making Light in Terezin and wrote and directed the feature film, ATTACHMENTS, starring Academy Award nominated actress Katharine Ross. 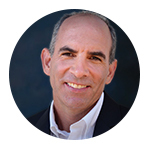 Rich has extensive experience teaching, coaching and mentoring physician writers. 9:00–10:00 Screenwriting 101: The Key Points They Teach You at USC Film School in 60 Minutes or less! 12:45–2:00 How to Adapt Anything into A Screenplay! "Many helpful writing ideas. I also liked Prof. Krevolin's willingness to be available and review writers work, and give feedback." "Great "first taste" of screenwriting with basic nuts and bolts of the industry." "Great course on screenwriting. Rich is a first-rate teacher."